I have definitely found the next item on my wishlist: the IconSpeak, an ingenious T-shirt featuring 40 universal icons for communicating across language barriers. “Many times we were confronted with a language barrier that was only to be overcome by drawing signs, symbols or icons on a piece of paper, map, or into the dirt”, explain George, Steven, and Florian. “We thought it would be great to have an essential set of icons with you, permanently, so that you could just point on whatever you need – and people would understand. Soon the notepad was pulled out again and we started listing more or less essential icons that would have been of great help during not just ours, but basically anyone’s trip”. Very cool. I am not sure how well it would work in all situations, but it is certainly better nothing! A recent piece in The Atlantic by Albert Podell has reinvigorated one my longstanding life goals: traveling through the patchwork of nations and societies that make up our species. Last summer, my Royal Air Maroc flight from Casablanca landed at Malabo International Airport in Equatorial Guinea, and I completed a 50-year mission: I had officially, and legally, visited every recognized country on earth. n five decades of traveling, I’ve crossed countries by rickshaw, pedicab, bus, car, minivan, and bush taxi; a handful by train (Italy, Switzerland, Moldova, Belarus, Ukraine, Romania, and Greece); two by riverboat (Gabon and Germany); Norway by coastal steamer; Gambia and the Amazonian parts of Peru and Ecuador by motorized canoe; and half of Burma by motor scooter. I rode completely around Jamaica on a motorcycle and Nauru on a bicycle. I’ve also crossed three small countries on foot (Vatican City, San Marino, and Liechtenstein), and parts of others by horse, camel, elephant, llama, and donkey. I confess that I have not visited every one of the 7,107 islands in the Philippine archipelago or most of the more than 17,000 islands constituting Indonesia, but I’ve made my share of risky voyages on the rickety inter-island rustbuckets you read about in the back pages of the Times under headlines like “Ship Sinks in Sulu Sea, 400 Presumed Lost”. “Foreign experiences increase both cognitive flexibility and depth and integrativeness of thought, the ability to make deep connections between disparate forms”, says Adam Galinsky, a professor at Columbia Business School and the author of numerous studies on the connection between creativity and international travel. Cognitive flexibility is the mind’s ability to jump between different ideas, a key component of creativity. But it’s not just about being abroad, Galinsky says: “The key, critical process is multicultural engagement, immersion, and adaptation. Someone who lives abroad and doesn’t engage with the local culture will likely get less of a creative boost than someone who travels abroad and really engages in the local environment”. In other words, going to Cancun for a week on spring break probably won’t make a person any more creative. But going to Cancun and living with local fishermen might. A yakhchal (“ice pit”) is an ancient type of cooler invented in Iran around 400 B.C.E. to store ice for the summer. The ice would either be brought in from nearby mountains during the winter, or more commonly would be channeled through a qanat (aqueduct) that would run along a wall built close to the yakhchal. During the cool winter season, the shadow of the wall would freeze the water more quickly, and the ice would be taken to the yakhchal, which had thick walls composed of a special mortar call sarooj (composed of specific proportions of sand, clay, egg whites, lime, goat hair, and ash). This substance was resistant to heat transfer and almost impenetrable to water. 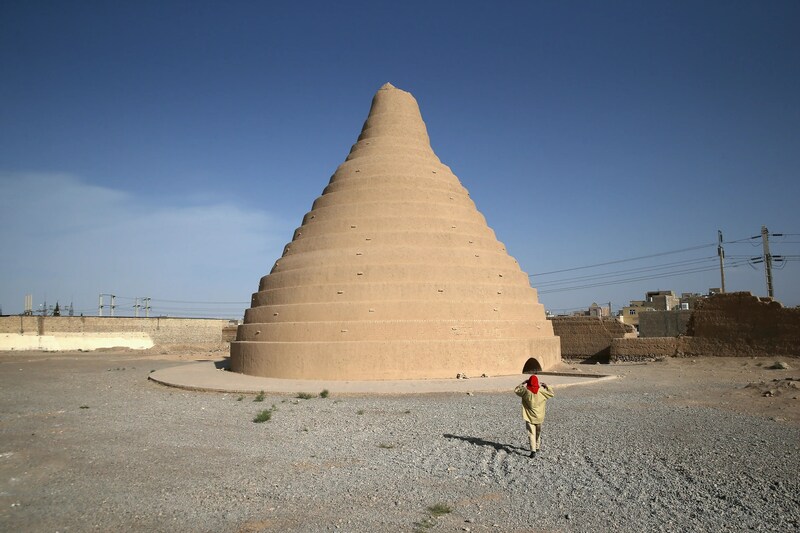 Some yakhchal had windcatchers built at the top to bring down the temperature inside on hot days. The stored ice would be used to chill treats make a special dessert called faloodeh, one of the world’s earliest kinds of ice cream (made of thin corn starch noodles mixed in a semi-frozen syrup made from sugar and rose water, sometimes with lime or ground pistachios added). As a testament to their superb engineering, many yakhchal built hundreds of years ago are still around today, like the one pictured above from the town of Abarqu, or the following from Meybod. Business Insider has two different collection of photos that each show sides of Afghanistan few outsiders know exists. 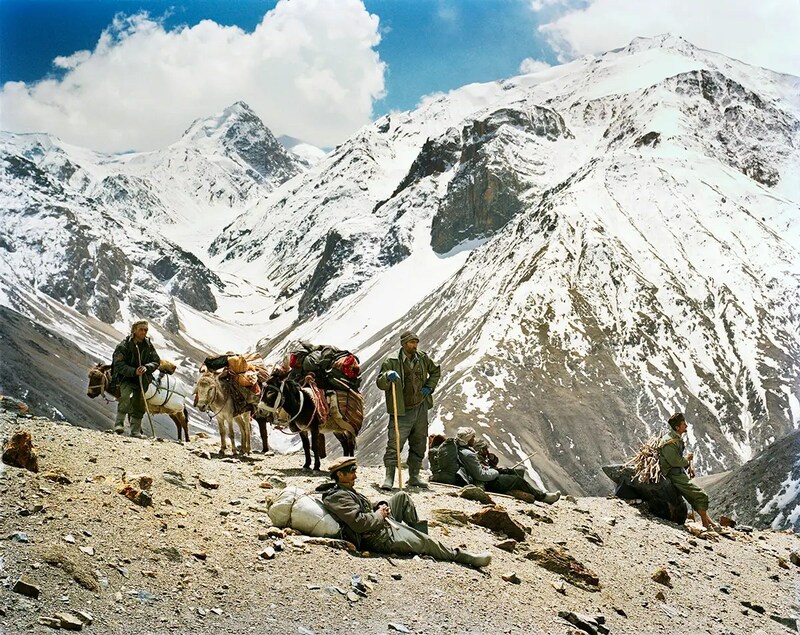 The first set is by New York-based photographer Frédéric Lagrange during his travels through Afghanistan’s rugged, mountainous east in 2012. Compared to other parts of the country, this region has been largely untouched by conflict, and for that matter remains largely secluded from the world in general. 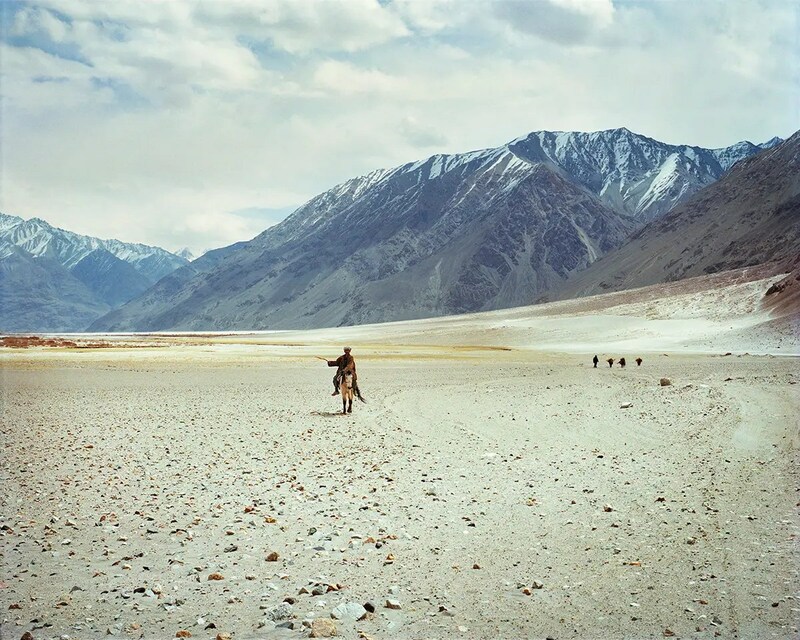 The Wakhan Corridor is a narrow strip of land in the far northeast of Afghanistan, bordering Tajikistan, Pakistan, and Western China. 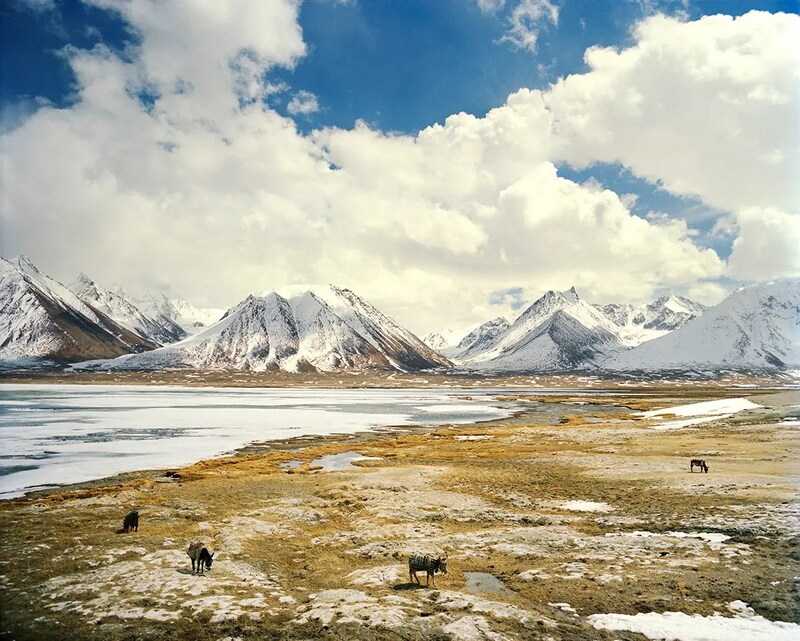 The harsh, beautiful landscape, bounded by the Hindu Kush mountains on the south, was once used as a major trading route for those traveling the Silk Road to China. 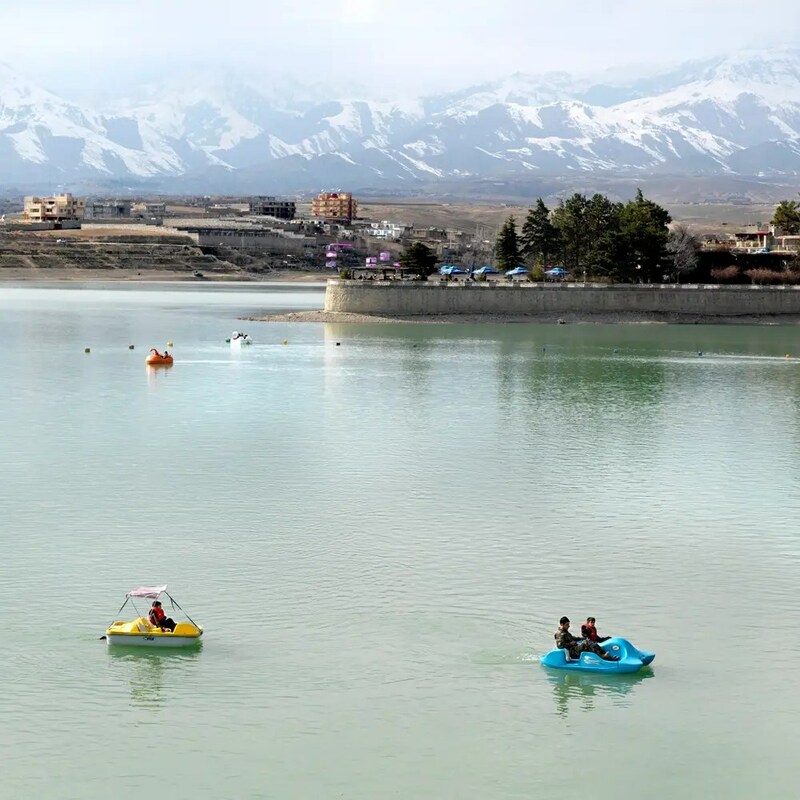 For three weeks, Lagrange and a team of locals made their way up the Hindu Kush mountains to the shores of Lake Chaqmaqtin. Along the way, Lagrange photographed the local peoples, who survive on the edge of civilization by raising and herding cattle. 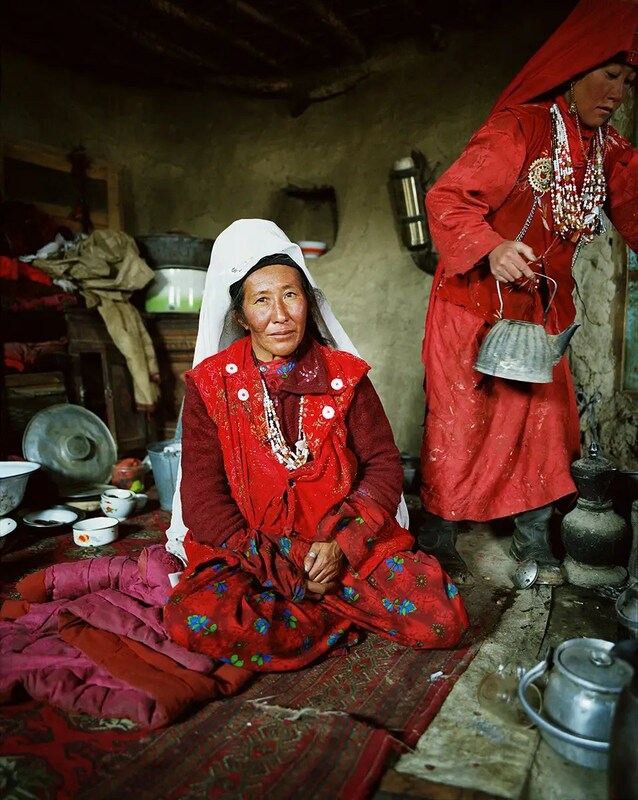 The photos show the sheer scale of the country’s environment, as well as the hardscrabble perseverance of its people, made up mostly of persecuted minorities that have nowhere else to go. More of Lagrange’s photos can be seen at his official website here. 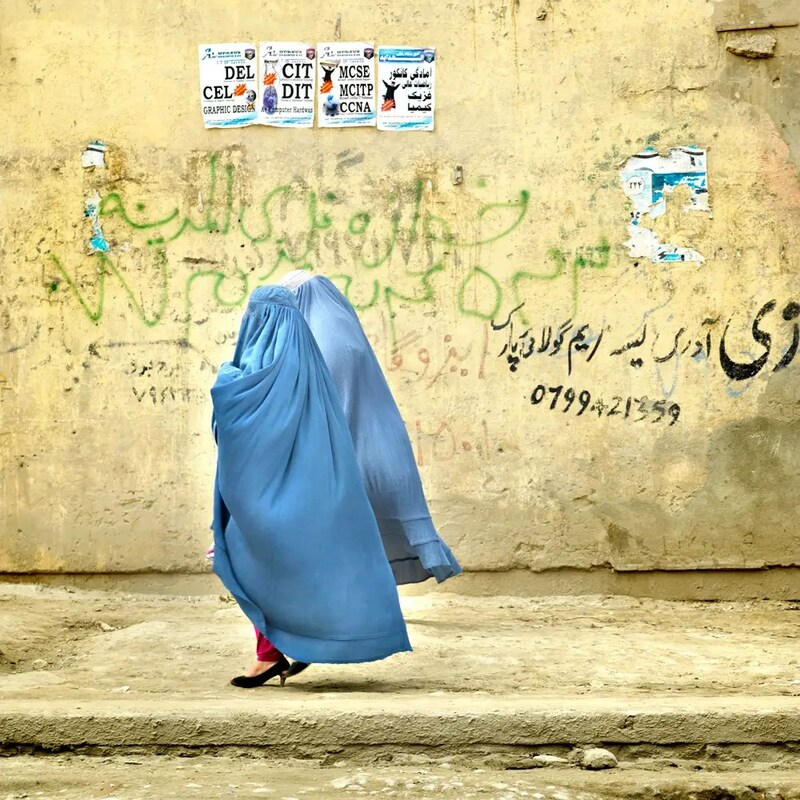 The other set of images are by Marieke Van der Velden, who visited Kabul in 2013 with the explicit aim of showing the everyday lives and experiences of average urban Afghans. For all the people Van der Velden met, she decided to ask them a simple question: “What is your favorite place in the city?” Finally given a voice to talk about something other than war, her subjects lit up and showed her a side of Kabul few Westerners ever see. 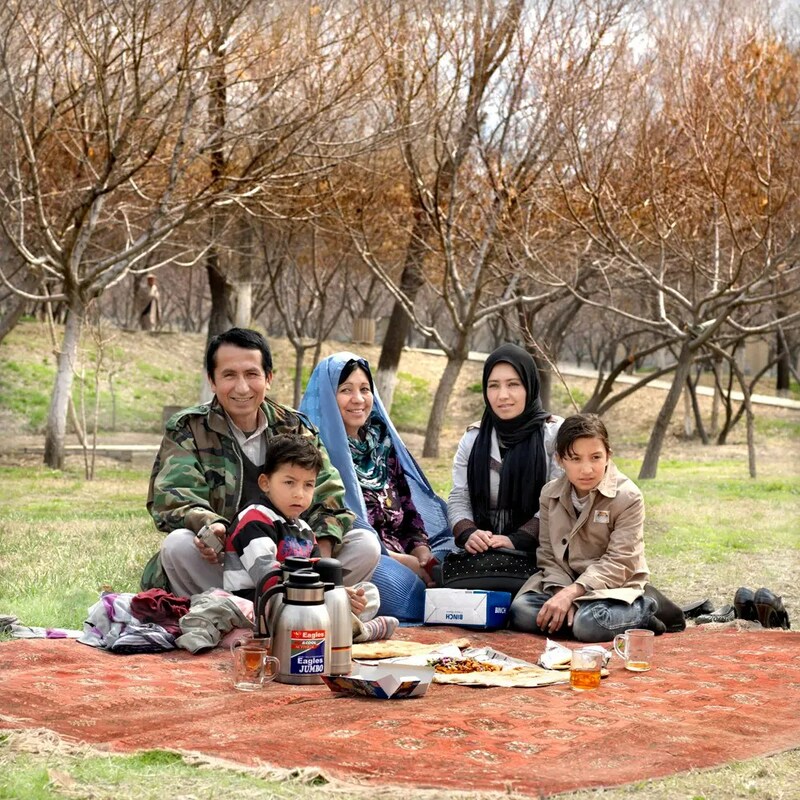 A family picnic at Bagh-e Babur Gardens, a historic park built in 1528. 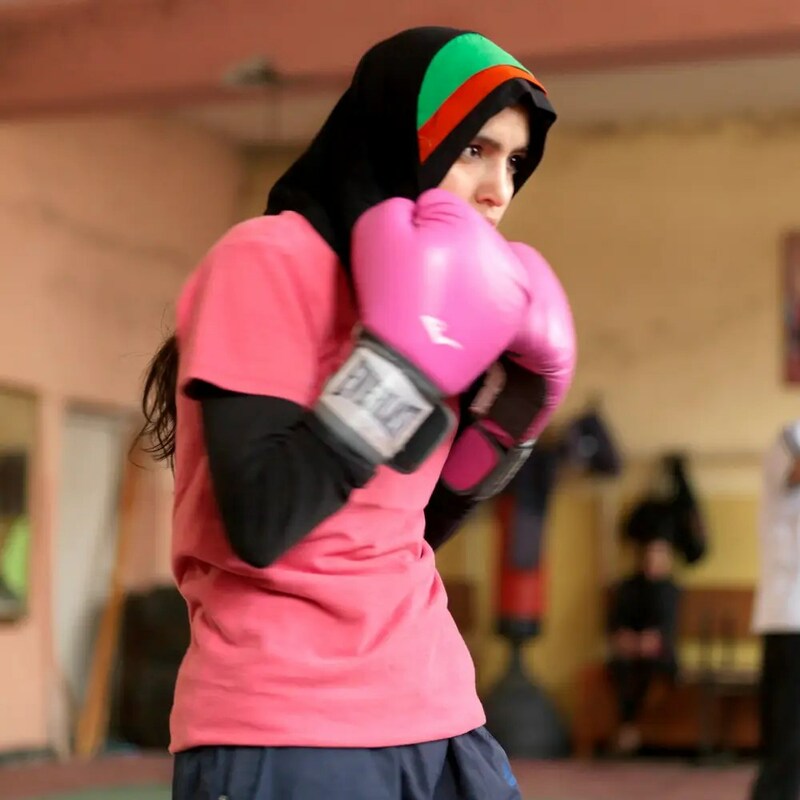 Many schools and gyms are encouraging women to participate. 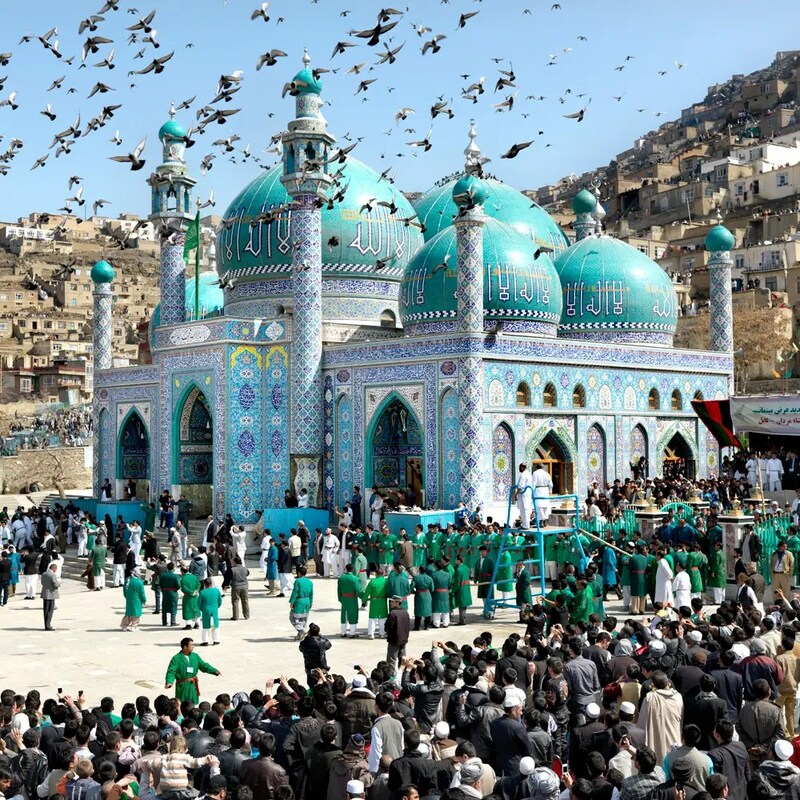 The beautiful Blue Mosque in Mazar-i-Sharif, a city north of Kabul, is a favorite spot. A typical Saturday night in Taiwan’s largest city. Among the many places on my travel list is Taiwan (officially the Republic of China). As one of the most developed and multicultural countries in the world, it offers a lot to see and do — including one of the world’s most thriving bibliophile communities. 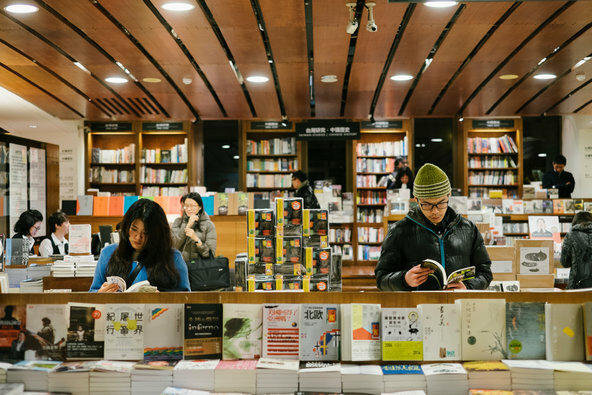 As the New York Times highlights, its lively capital, Taipei, leads the world in 24-hour bookstores. At a time when many bookstores in the United States are struggling in the face of an onslaught from the online retailer Amazon, Eslite is thriving. It has 43 stores in Taiwan and one in Hong Kong. The company has plans to open two branches in mainland China this year, in Shanghai and Suzhou. Sales rose more than 15 percent in 2013 in its listed arm, and profits are rising as well. One secret to Eslite’s success is that it is far more than a bookstore. While the Borders chain, now defunct, in the United States featured coffee shops, Eslite stores are more like self-contained shopping malls. About 60 percent of sales come from books. The rest comes from items like food, kitchenware, music, wine, jewelry, watches, movies, toys — sold in shops interspersed throughout the bookstores. One branch in Taipei has a movie theater. Another reason for its success is the character of the city where the company was founded in 1989. As in many Asian cities, people work late into the night, and a company survey in 1999 suggested that many people would frequent a 24-hour bookstore. The busiest time for the bookstore is between 10 p.m. and 2 a.m., according to Timothy Wang, a company spokesman. Indeed, it appears there is something particularly Taiwanese about this business model, which is perhaps why it seems unique only to the country. I cannot wait to experience it for myself someday. In an increasingly globalized world, people have no shortage of options when it comes to choosing their place of work or business. Advances in telecommunications technology, airline travel, and international relations make it easier than ever to reside in tens of thousands of cities of your choosing. But with literally a whole world to choose from, it can be overwhelming trying to make up your mind. Thankfully, the record number of expats across the world has spurred consultancies and other institutions to uncover the best place in which to unlock all that global talent. These results should, however, be taken in the context of the global distribution of survey respondents. Roughly half of respondents are currently located in Europe, which may help explain the relatively high share of those selecting European cities for an international move. This compares to the just 10 percent of respondents from Asia. But an even smaller share —about nine percent—are currently located in the U.S., and just under two percent are from Canada. Those low percentages indicate that the countries’ popularity as work destinations is less skewed by relative locals willing to hop over borders, and more by their global attractiveness to international talent. It’s also worth pointing out that the survey is skewed towards top talent and does not reflect the preferred destinations of the world’s populations broadly. Nearly one in four (23 percent) of respondents had master’s degree or postgraduate qualifications; 36 percent had bachelor’s degrees; and just 10 percent of respondents replied “none” or “other” when queried about their educational attainment. All that said, perhaps it unsurprising that the world’s leading economic and financial hub, London, took the top place, followed by its equally weighty rivals of New York City and Paris. Most of the remaining top ten are made up of medium-sized cities best known for their quality of life rather than their business opportunities – only Singapore tends to rank as a powerful commercial center. Indeed, the majority of the top thirty are comprised of cities that strike that vital balance of economic growth, sociopolitical stability, and cultural richness that most expats seek. As with any domestic career, most workers want to enjoy a health work-life balance made easier by good infrastructure, lots of recreational and leisure opportunities, and the like. Workers from the U.S., U.K., Denmark, Germany, and Ireland, as well as Latvia and Russia, were among the least likely to move. But workers from the United Arab Emirates, Tunisia, Saudi Arabia, Pakistan, Jamaica, and surprisingly the advanced nations of France and the Netherlands were among the nations with the highest share of residents ready to move. The survey results don’t indicate why the latter two countries had such high percentages of pro-moving respondents, but it may be because highly-educated French and Dutch residents are likely to be attracted to global powerhouses like London and New York, which provide more opportunities for top talent. Willingness to move abroad for work, however, is not always a good sign. In countries like Pakistan, the report found that 97 percent of residents said they would be willing to go abroad for work—in this case, an indication of just how many people are interested in escaping that nation’s troubled economy and political instability. There are a lot of other factors at play in these trends, including sociocultural attitudes (many countries have a long and established history of emigration and travel, or have significant diaspora communities that make settling and working abroad easier). It is also no coincidence that many of the top cities chosen by workers (as well as the countries in which they are based) tend to be fairly cosmopolitan and multicultural places. Of course, where one decides to work and live also comes down to personal preference, forces beyond one’s control notwithstanding. That said, where would you live and work if you could choose? Do not let the difficult name (for English-speakers anyway) intimidate you: this friendly town is well worth paying a visit to. Not only is it in close proximity to the Spanish coast, but with over 200 hotels and numerous mom-and-pop restaurants and shops, it is very accommodating. Of course, as you will see, the main draw is the collection of distinctively blue-tinged buildings, which add an aesthetic, if not whimsical, vibe (click the images to make them larger). [Note: I did not take any of these photos, and with only a few exceptions, none of them are sourced or watermarked. If anyone recognizes these, please feel free to let me know so I can credit their respective photographers]. In any case, I cannot wait to take some photos of this lovely town myself some day.